Think about a few of your favorite clients, and what they all have in common. Maybe they all play golf or tennis and see you to keep aches and pains at bay. Maybe they’re all young parents with lots of stress. Or perhaps your favorite clients are people of all ages and backgrounds, but with varying complex medical conditions. Consider what those clients need most, and how you can be even better (because you’re already pretty great) at serving them. If you’re not sure what your favorite clients need most, get out there and learn. If you treat lots of golfers, but have never grabbed a driver, take a few golf lessons. See what gets achy and tight after you swing the club a few dozen times. If you see lots of clients for stress and anxiety relief, consider what you can do to enhance your treatments and make them even more relaxing. It’s not tough to add an extra warm squishy pillow or relaxing scent. And be sure you’re not in a music rutt. If you haven’t mixed up your playlist in a while, regular clients will notice, and their brains will start to ‘predict’ what song is coming next. That’s not relaxing. 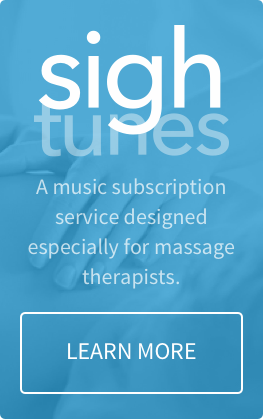 There are lots of options for massage music, obviously we’re big fans of sighTUNES, our service that provides 10 hours of new music every month. It never hurts to reach out to your community of colleagues for inspiration. Make a plan to attend a conference or class and be around people who love the massage profession as much as you do. Cultivate friendships and network with people you admire and respect for their positive influence in your life and career. 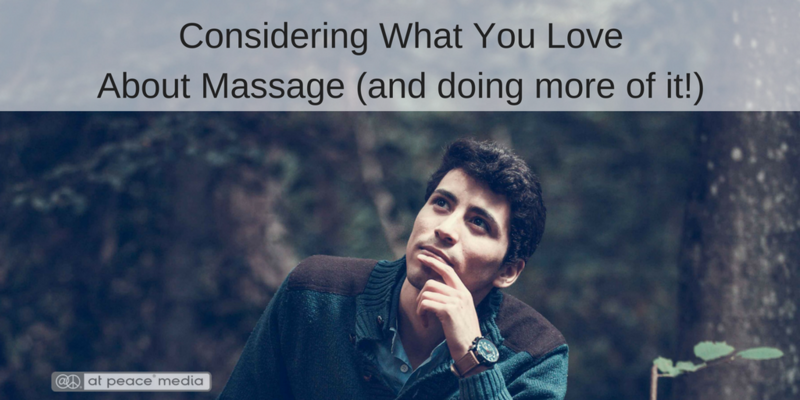 Massage careers can vary widely, but most can benefit from occasional reflection and adjustments. How do you rethink and revamp your practice? Share in the comments!